Speaking at the London International Wine Fair at ExCel this week, Pavel Titov, director of historic Russian sparkling wine estate Abrau-Durso, explained: “When I joined the company we had 34 different labels in our range. My first decision was to scale it right back and discontinue half of the wines. 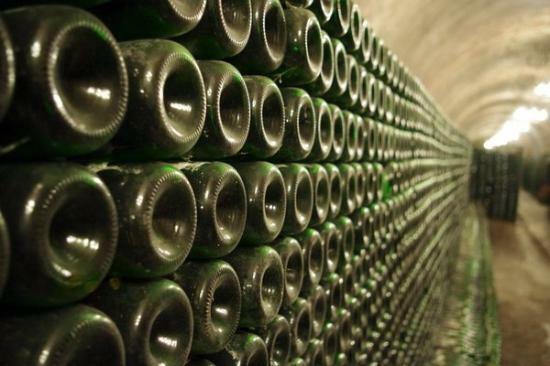 He also revealed that a Soviet mentality among many consumers means that sparkling wine has yet to break out of the confines of being an occasional drink. “Sparkling wine is still very much something people save for special occasions like Christmas and New Year in Russia. We’ve yet to convince people that it can be an everyday drink,” said Titov. “There’s no reasonable explanation as to why Russian’s aren’t consuming more home-grown sparkling wine throughout the year. “As a result, 60% of our sales come in the fourth quarter of the year, as people stock up in time for the Christmas break. We’re trying to change this of course,” he added. While the company exports its sparklers to the UK (through Beckmann Wine Cellars), Singapore, Israel and Scandinavia, the majority of sales come from Russia. Despite being the most expensive sparkling wine in Russia. Titov believes Prosecco and cava pose a greater threat to Abrau-Durso sales than Champagne. “The press paints a picture of oligarchs popping bottles of Cristal and Dom Pérignon in nightclubs, but Champagne consumption in Russia is actually relatively low,” Titov stressed. In addition to Abrau-Durso, Titov’s father, petrochemicals trader Boris Titov, owns Château d’Avise in Marne and makes organic Champagne from two hectares of grand cru vineyards along with bought in grapes. Titov senior bought the Champagne house, which was formerly owned by LVHM, in 2010 for an undisclosed sum. Founded in 1870, Abrau-Durso, which once supplied the Russian Imperial Court and the Kremlin, is based in Krasnodar in the south of Russia, northeast of the Black Sea. Its range is made from Pinot Noir, Chardonnay, Riesling, Pinot Blanc and Aligote grown across 500 hectares.